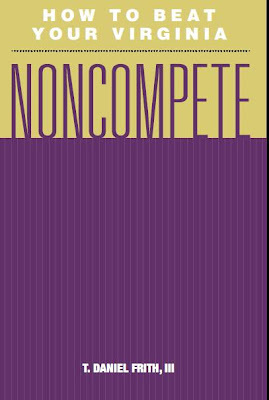 VIRGINIA NON-COMPETE BOOK - Frith Ellerman & Davis Law Firm, P.C. When in life do you get help for free? Almost never. But today, you do get help for free. Dan Frith has written a book on How to Beat your Virginia Non-compete. Now, when Dan wrote the book, he was assuming many clients may end up in litigation. I spend many hours a day trying to help clients avoid litigation – but if you do end up defending your right to work, Dan’s book HOW TO BEAT YOUR VIRGINIA NON-COMPETE, is a great intro into what that process may look like. Want a copy for free? We will send to any Virginia Employee who calls our office and shares their mailing address and email address. Call Gail Barrow at 1-866-985-0098 today, for your free copy of HOW TO BEAT YOUR VIRGINIA NON-COMPETE, today.